Mickey Mouse is the All-American Boogie Woogie Bugle Boy in this delightful creation. Featuring the rich color palette and whimsical folk art style of Jim Shore, Mickey is primed to belt out some soulful jazz beats! 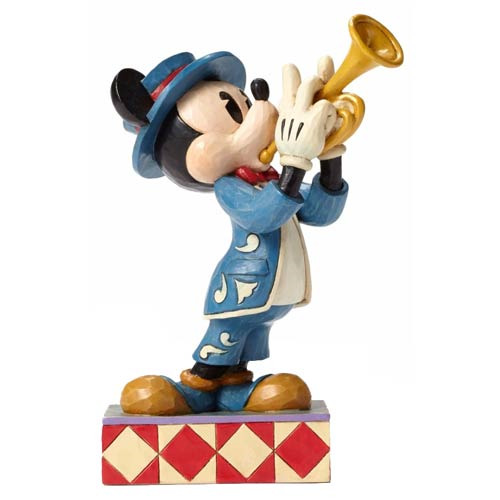 The Disney Traditions Mickey Mouse Bugle Boy Statue is made of stone resin and measures approximately 6-inches tall x 4-inches wide x 3 1/4-inches long. Ages 13 and up.